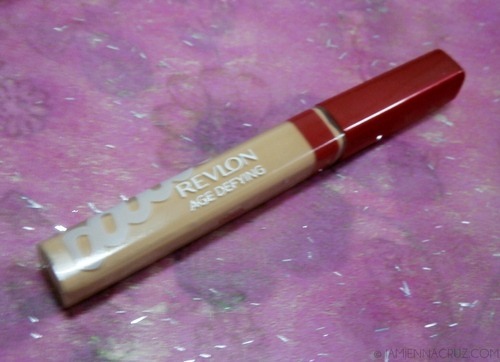 What does REVLON says about this product? 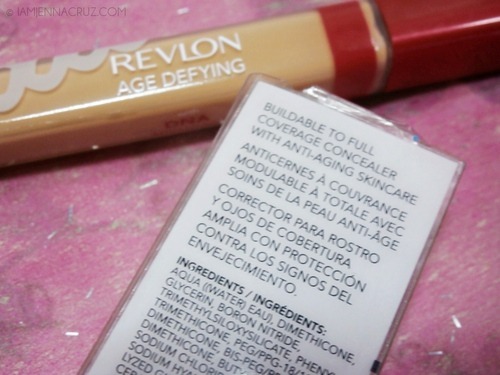 Use with Cream Makeup for the ultimate protection against the signs of aging. The first this I noticed about this product is its packaging! It's just so cute and that touch of red, I love! 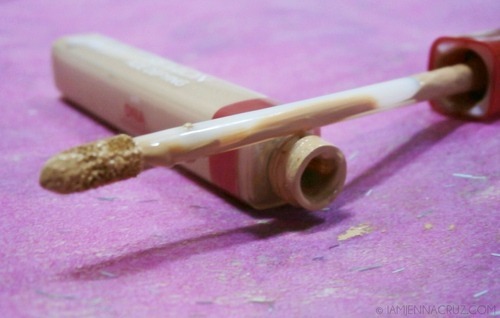 Its sponge tip applicator is simply the best, making it easy for me to apply the concealer anytime. 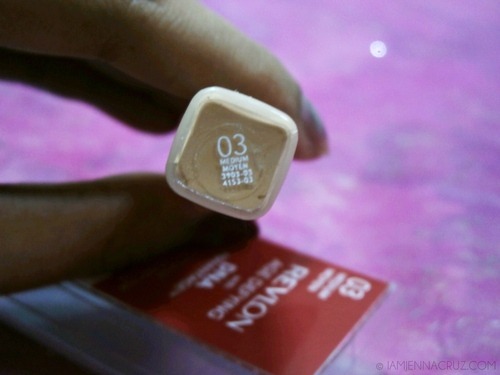 And oh this comes into 4 shades which are light, light medium, medium and medium deep. 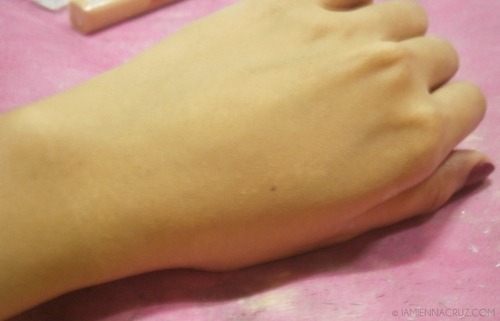 And the medium shade just suits my skin tone. 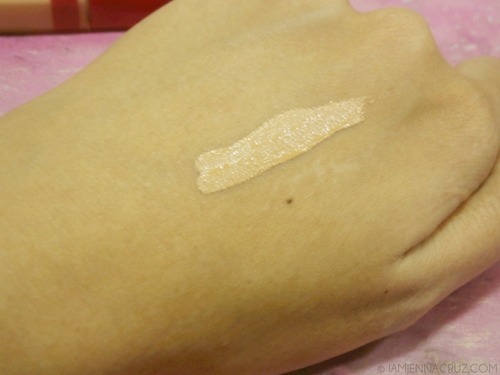 Gently dab the concealer onto the skin, spreading evenly so it blends perfectly. Blend with the pad of your ring finger using a patting motion until it looks seamless. 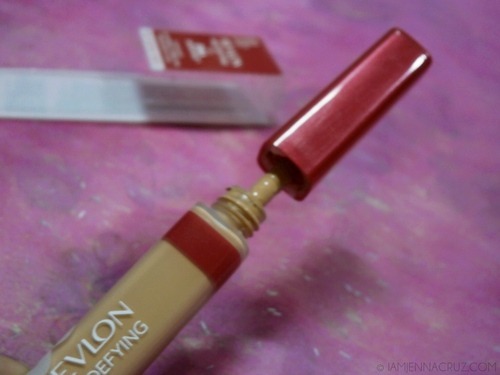 Build coverage for your desired look. 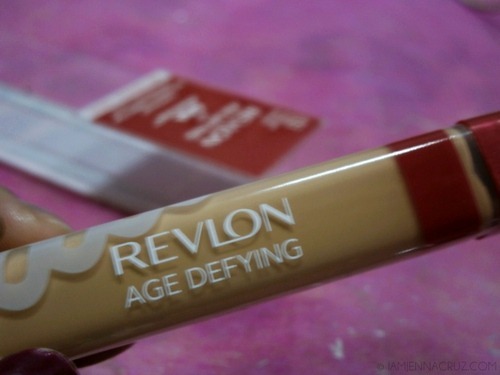 And my over all personal view about this product is that it is simply one of the best concealer I ever had! 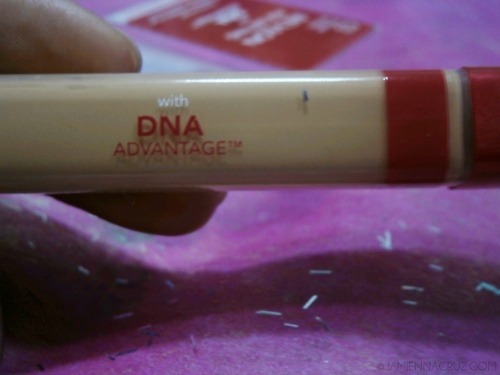 (for now maybe) I love how it can really conceal those dark spots on my face with just a minimal amount of it. So, I'll probably recommend this product to those who are so stress out of those dark circles under their eyes and those creepy pimple marks. >.< Come give it a try and you might not now this is the one you've been looking for! Anyone here who have tried this product? How was it for you? And if you haven't used this yet, will you give a try? I would love to hear you, share your thoughts about it. 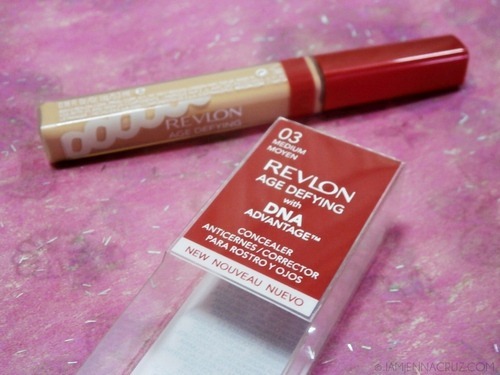 And oh, kindly like REVLON and Mr. Eman De Leon on facebook. Thank you!